As a person from the planet Earth, designation human, one of my basic personality traits is that I want to feel enlivened. 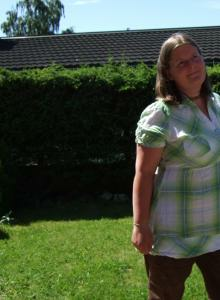 I want my time to mean something to myself and hopefully somebody else in the process. I want to always feel my creative juices flowing, that the time seem to disappear and that I love what I’m doing at any given moment – and I want this for both my workplace and my spare time. This isn’t something that comes automatically for any of us. Who hasn’t experienced feeling burned out? Or may be restless because of a feeling of being disconnected or may be that we feel we should be doing something else, but not knowing what that “something else” is. Or may be you might be a manager and want to get your staff working more effectively. Or a teacher and/or a parent and want to know how to get more involved kids that do their chores and find learning to be interesting. To put it simply, how do you motivate yourself (and/or the people around you). 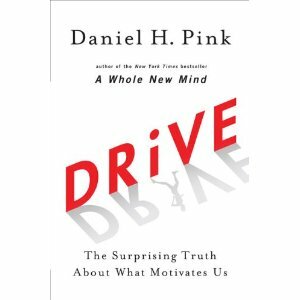 “Drive” by Daniel Pink is a book that outlines research and scientific knowledge about how motivation works. It starts out talking about our old motivational system of “carrots and sticks”, use of bonuses and rewards and the reasons why these systems doesn’t work (except in very specific circumstances). Then he talks about how motivation actually works and the three elements neccessary for motivation. In the end he suggests tool kits for motivation based upon different circumstances. It’s a good and interesting read, and I will certainly use it to become a better and happier person in what I do, no matter what, where and how I’m doing it. This entry was posted in Health & Wellbeing, Inspiration & reviews and tagged autonomy, mastery, motivation, purpose. Bookmark the permalink.